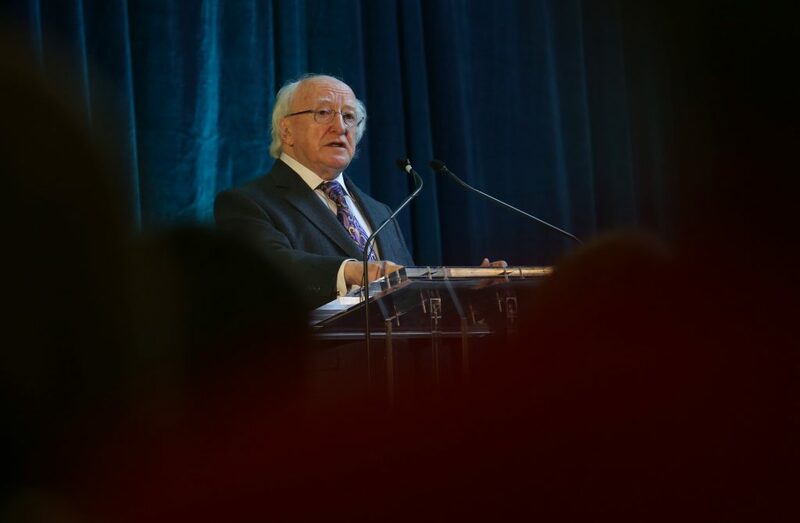 President Micheal D Higgins pictured speaking at the 2014 International Family Farming Conference. 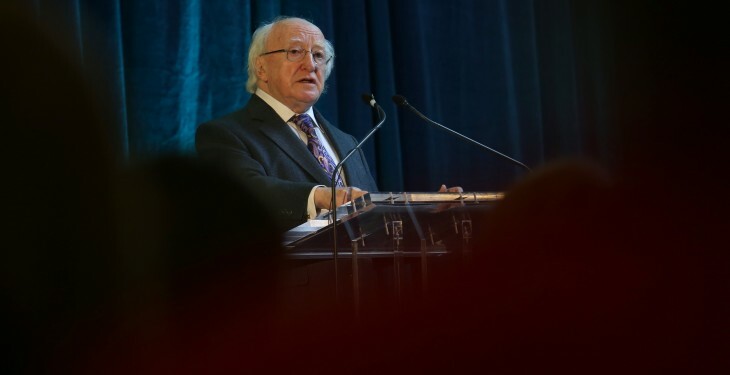 The upcoming abolition of milk quota must see benefits that are shared by many, and not just divided among the biggest, the President of Ireland Michael D. Higgins has said. He also said that with global demand for food forecast to increase by 70% by 2050, we have every reason to be confident in the potential for growth of Irish farming. “Maintaining vibrant agriculture and preserving the family farm model is of critical importance to the future of this country. “It is a vital necessity if we want to ensure that no portion of our national territory is left neglected – economically, socially or environmentally. It is a vital necessity if we want an Ireland of thriving local communities. The President Michael D. Higgins also said that many other challenges facing family farmers here and abroad differ in intensity more than in kind: access to land, to credit, to markets; the need to innovate and add value to agricultural products – these are challenges that are shared by family farmers across the globe.